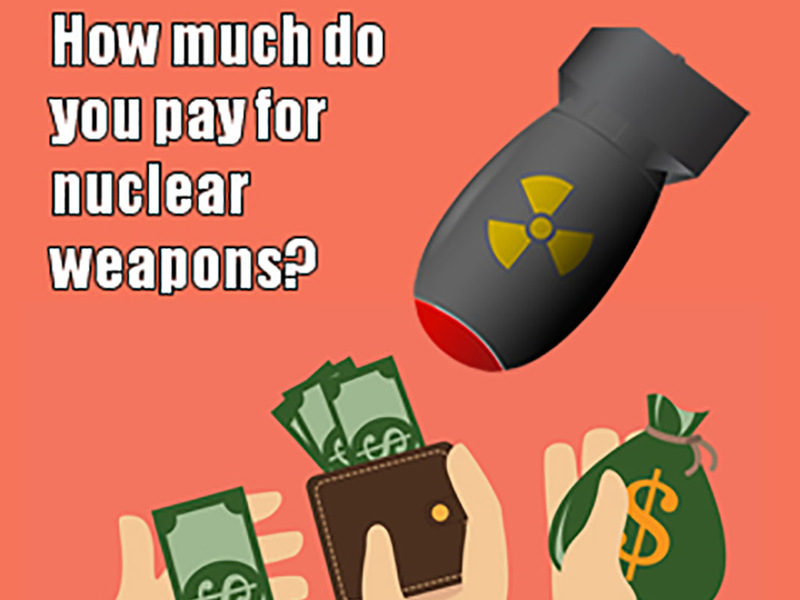 How Much Are YOU Paying for Nuclear Weapons? Each April, Dr. Bob Dodge, PSR-Los Angeles Board Member and co-founder of Citizens for Peaceful Resolutions, calculates the cost of nuclear weapons programs to our communities. Total U.S. nuclear weapons programs expenditures for 2016 = $57.6 billion! In 2016, Texas spent $4,635,266,678.66 on nuclear weapons programs. Imagine the other ways we could be using those billions! These are tax dollars diverted from community needs such as education, health care, environmental protection, and many other important social services—spent instead on deadly weapons that must never be used. Below are costs for some Texas counties. Use the community calculator to find out what your community spent on nuclear weapons programs in 2016, or contact us and we’ll crunch the numbers for you!